The 1984-1991 BMW 3-Series has become an auto-cultural flashpoint. From the rise in interest in (and value of) the E30 M3, to the hoards of E30s descending like boxy locusts on every 24 Hours of LeMons event, to Travis's recent racetrack dalliance in a new 3-Series spec series. If ever a car begged for a documentary, the E30 is it. And here it is. Director Owen Craft writes, on the doc's Vimeo page, "[Five] months of work has finally come together to tell the story of the BMW E30. 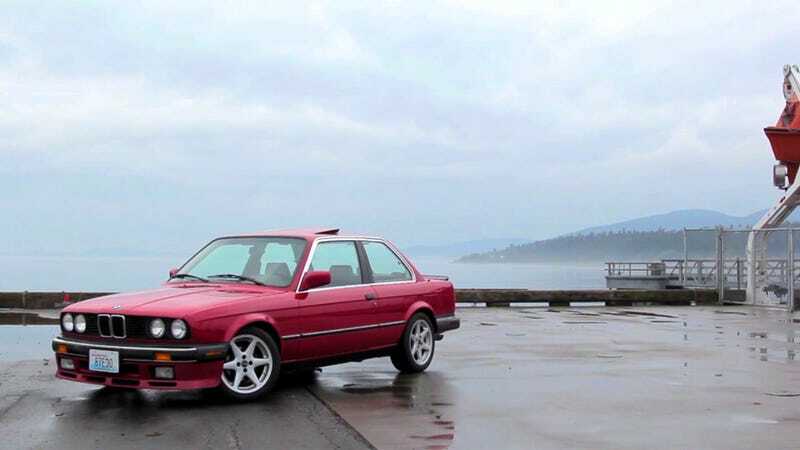 Many owners around the Pacific Northwest have hung on to the E30 for its superior driving feel, even though most owners have moved on to modern alternatives." There's a lot more to it, as Craft interviews several E30 owners, whose cars cover the 3-Series spectrum from the 318 convertible to the touring-car homologation M3. He also digs into PRO3, a class of the International Conference of Sports Car Clubs (ICSCC), comprising E30 owners. If you've never seen a 25-car grid of E30s heading four-wide into a corner, you will now. If you're already an E30 fanatic, you'll want to put Craft's doc on your watch this. If you're wondering what all the E30 fuss is about, you'll want to grab the extra-large size bag of Pirate's Booty and a Northwest IPA, and settle in.